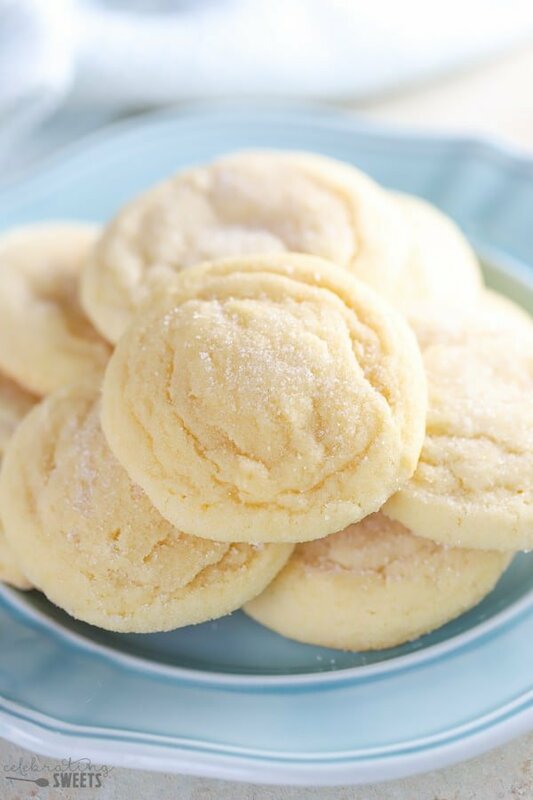 These Easy Sugar Cookies can be made as DROP COOKIES or CUT OUT COOKIES – BAKED SOFT or CRISP. Use this basic dough to make your perfect sugar cookie! Option to bake immediately – no chill time! 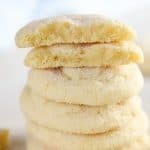 Everyone loves a classic Sugar Cookie, and this recipe can be tweaked to make whatever type of Sugar Cookie you want. You can make soft or crisp drop cookies or tender cut out cookies. I have all the tips and tricks you need for making the perfect sugar cookie every time. Plus, my secret ingredient for what sets this recipe apart from others I have tried. Beat butter and granulated sugar until light and fluffy. Add 1 egg and 1 egg yolk – the extra yolk helps keep the cookies soft. Flavor the dough with a combination of vanilla extract and almond extract (my secret ingredient). Add the dry ingredients: flour, leaveners and salt. Once you have this basic dough all you have to do is decide how you want to prepare them. You can choose from thick and puffy drop cookies, thin and crisp drop cookies or cut-out cookies. See my tips below for making them each of these different ways. What makes these cookies extra scrumptious is my secret ingredient – almond extract. Just a little splash goes a long way. 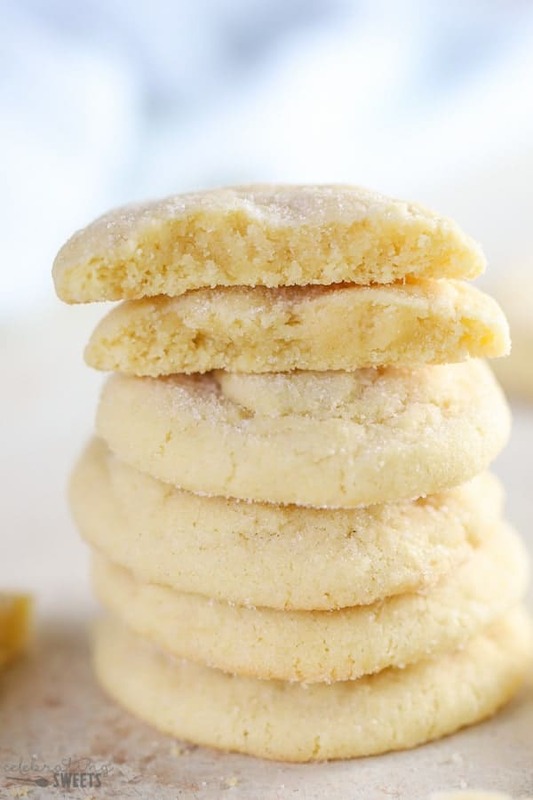 They’re also flavored with vanilla extract which gives them the distinct sugar cookie flavor that we all love. I seriously cannot stop eating these! This is my favorite type of Sugar Cookie, it’s also the easiest preparation and requires NO CHILL TIME. Scoop the cookie dough into approximately 1 1/2 tablespoon portions. I use a cookie scoop for this. Roll the dough balls in granulated sugar. This adds a pretty little sparkle to the outside of our sugar cookies. Place the dough balls on a lined baking sheet. Bake until the edges are set, and the center is still slightly underdone. The cookies will continue to bake as they cool on the cookie sheet. This method creates a puffy, soft-centered Sugar Cookie. If you want your cookie completely flat (without having to roll out the dough), simply place the dough balls on your baking sheet and flatten gently with the underside of a drinking glass. 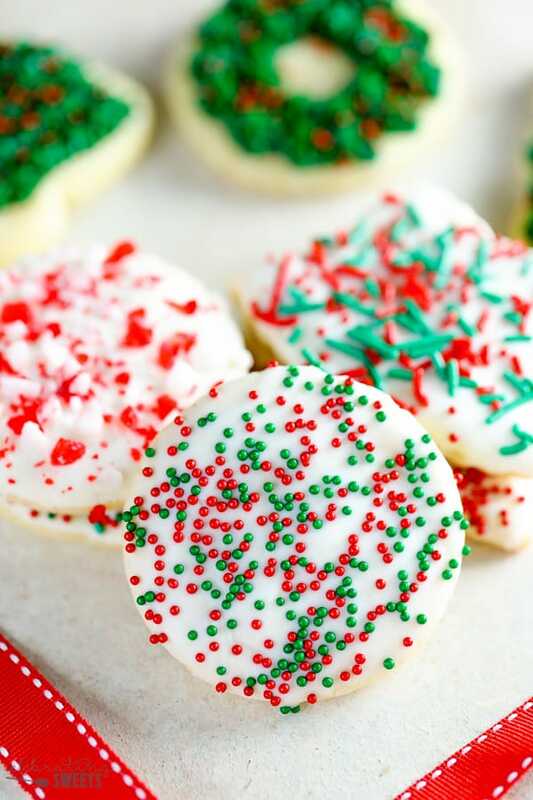 This technique works well if you want to decorate your cookies with vanilla frosting, or use them as a base for something more elaborate like Sugar Cookie Fruit Tarts or Bird’s Nest Sugar Cookies. Add an additional 2 tablespoons of flour when preparing the dough. This makes the dough less sticky, and easier to roll out. Chill the dough for 1-2 hours. Chilling the dough makes it easier to work with, and using cold dough helps the cut out cookies to hold their shape. Roll out the dough on a floured surface until 1/4 inch thick. I find that this is the perfect thickness for a sturdy yet tender sugar cookie. 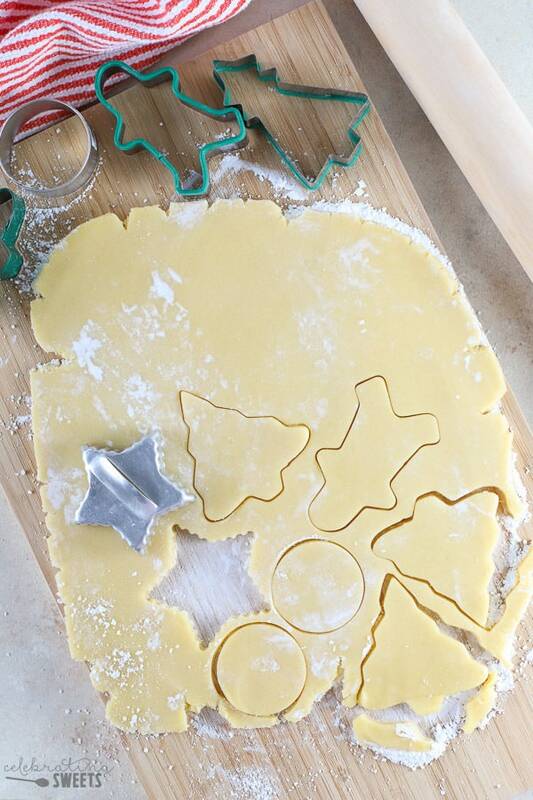 Cut out your cookies using your desired cookie cutters. Work quickly before the dough heats up. Bake until the edges are set and the very center still looks a little underdone (for a soft cookie). If you’d prefer a crisp cookie, bake until the center is completely done. Cool the cookies and top with frosting, sprinkles, or your favorite decorations. These cookies will bake up soft and tender as long as you underbake them just slightly. If you are making drop cookies, portion generous mounds of dough (1 1/2 tablespoons) to ensure that the center of the cookies will be thick and soft. If you are making cut out cookies, roll out the dough fairly thick (1/4 inch) to ensure a thick and soft cut out cookie. Prefer a thin and crisp cookie? Flatten your drop cookie dough before baking, roll your cutout cookie dough thinner (less than 1/4 inch) and bake the cookies a bit longer. YES! Sugar cookies can absolutely be frozen. You can freeze the baked cookies, or you can freeze the cookie dough balls. FREEZING SUGAR COOKIES: Place baked and cooled cookies into freezer bags and then into freezer containers (or double bag them). Double wrapping ensures that they will maintain their fresh flavor. If you are frosting your sugar cookies, I recommend freezing them without frosting. Once they have thawed, add the frosting within a day or two of when the cookies will be consumed. In a pinch, if you have to freeze frosted cookies you can, I prefer the ease of stacking and storing them without frosting. FREEZING SUGAR COOKIE DOUGH: Pull this cookie dough from the freezer and prepare freshly baked cookies in no time! You can freeze cookie dough balls or a portion of dough (tightly wrapped) to roll out for cut out cookies. Bring the cookie dough balls to cool-room temp before popping them in the oven (you also may need to add a minute or so to the bake time). Allow the rollout dough to thaw just enough that you can roll it out easily (not so long that it gets warm). 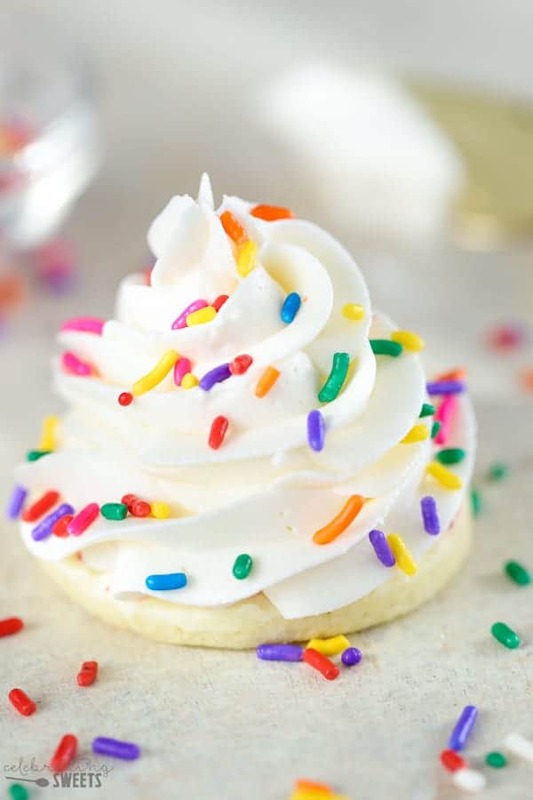 FROSTING FOR SUGAR COOKIES: Vanilla Buttercream Frosting ↓↓ is a classic, and it’s my favorite. You can also dip the top of each cookie in melted white chocolate (I have successfully used melted Ghirardelli white wafers). 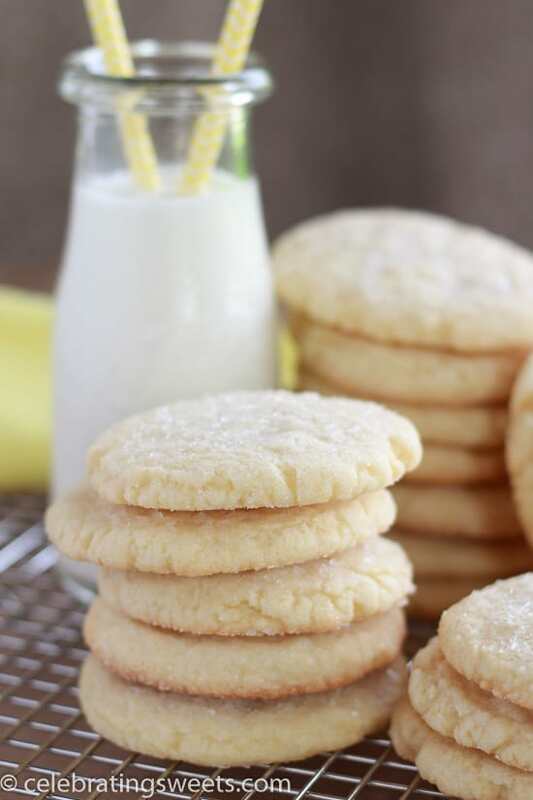 These Easy Sugar Cookies can be made as DROP COOKIES or CUT OUT COOKIES - BAKED SOFT or CRISP. Use this basic dough to make your perfect sugar cookie! Option to bake immediately - no chill time! 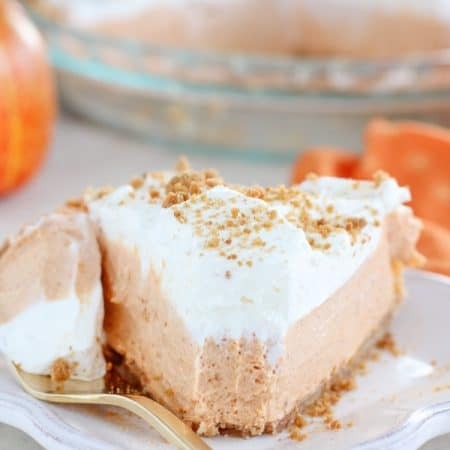 Using an hand mixer, or stand mixer fitted with the paddle attachment, beat butter and sugar for 1-2 minutes, until light and creamy. Add extracts, egg and egg yolk, and beat until combined, scraping the sides of the bowl as necessary. In a separate bowl, combine flour (see note), baking powder, baking soda, and salt. Slowly add the dry ingredients to the wet ingredients and beat until combined. Place 1/2 cup sugar in a shallow bowl or plate. 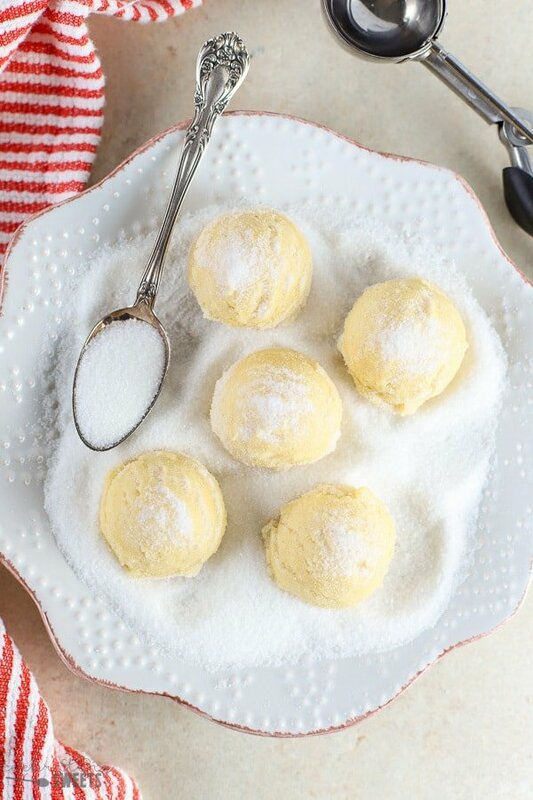 Scoop dough into 1 1/2 tablespoon balls (I used a cookie scoop), and roll in the sugar. Space dough balls about two inches apart on the prepared baking sheets. Optional: Use the bottom of a glass to flatten each ball of dough for flat cookies. If you do not flatten them they will be slightly puffy with a thicker center. Bake for 7-9 minutes, until the edges are set and the center is just slightly underdone (for soft cookies). The cookies should still be light in color, not browning at all. Place the baking sheets on wire racks to cool completely. Scrape the dough onto a large piece of plastic wrap. Press the dough together and flatten into a disc, tightly cover and refrigerate for 1-2 hours. If you'd like to skip the chill time, you can, proceed below. I think the cookies hold their shape better if the dough has been chilled. Remove from the refrigerator. Dust a clean work surface with flour or powdered sugar and roll out the dough to 1/4 inch thick. Rotating the dough and adding more flour/powdered sugar as necessary. Work quickly before the dough gets too warm - cold dough will hold its shape better when baking. Bake cookies for approximately 7 minutes, until the edges are set and the center is just slightly underdone (for soft cookies). The cookies should still be light in color, not browning at all. Place the baking sheets on wire racks to cool completely. FLOUR: If making CUT OUT COOKIES add an additional 1/3 cup of flour to the dough (2 1/2 cups PLUS 1/3 cup total flour). This keeps helps it roll out better and helps the cookies hold their shape. TO PROPERLY MEASURE FLOUR: Fluff the flour with your measuring cup, scoop a heaping portion and level it off with the back of a knife. TIP: Do not place cookie dough on a warm baking sheet. Allow the baking sheets to cool COMPLETELY between batches. TIP: Rotate cookie sheets from top to bottom and front to back during bake time to ensure even cooking. TIPS FOR CUT OUT COOKIES: Keeping the dough cold is important to help the cookies maintain their shape. If your dough gets warm while you're handling it, transfer it the fridge or freezer for a bit, to get it cool again. 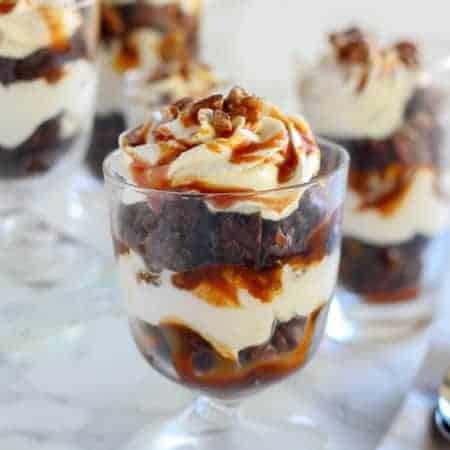 I love how flexible this recipe is! So great to have a no-chill option! Never thought of making drop cookies out of sugar cookie dough, great idea! It’s so neat that these can be made soft or crisp. 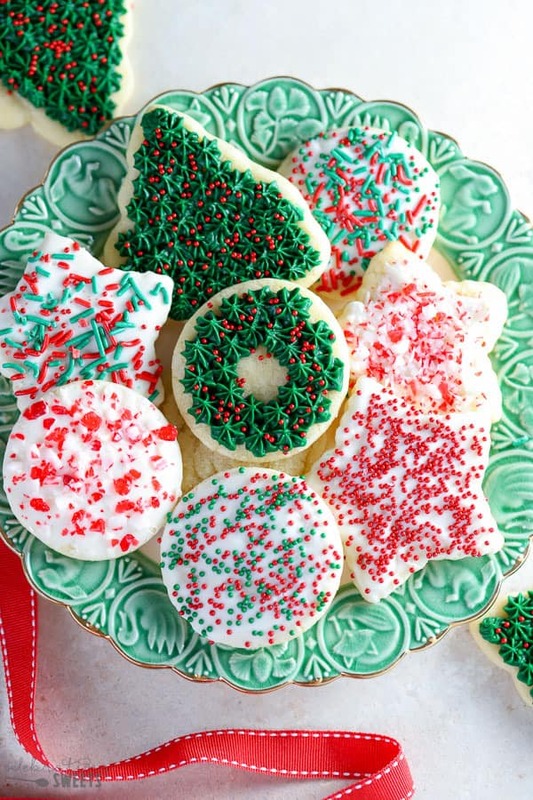 Sugar cookies are such a Christmas time staple! Yum! I was planning on making sugar cookies this weekend – now I’ve got the perfect recipe! These were as easy and delicious as promised. We made the soft, chewy drop cookies and they turned out quite well! They had just the right amount of vanilla and almond extracts. I could have underbaked them even a bit more, but that was my fault for not doing a small test batch first and trying them after they cooled. Thanks for the recipe! You can try it, although I’m not sure how they will turn out. My guess is that they will be quite flat, and possibly dense. 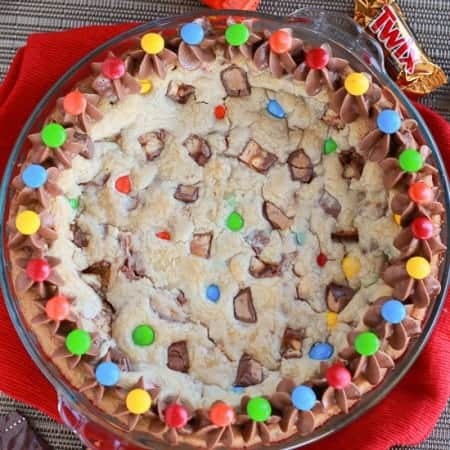 Can you bake the cookie without baking sheet?